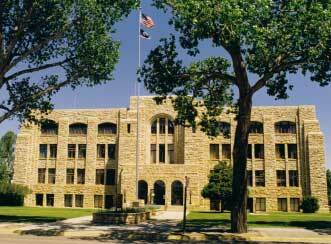 Serving the Laramie area since 1995. We specialize in custom-built systems for home or office. Our systems are built using only quality components at competitive prices. We also offer a variety of Services including all computer repairs, upgrades, hardware and software and yes, even virus and spyware and malware removal. This site was designed to help us better communicate with our customers and provide valuable information to help with all your computer needs. Come on in and check us out. Be sure and visit frequently. We will be continually updating and improving our site to help meet our customers needs. If you have any questions, or just need a little friendly advice, please feel free to give us a call at 307-721-3188. We will be glad to help in any way we can. COM-TEK has relocated from our Office at 869 N. 4th Street..
We have relocated our office from 869 N. 4th St. With the emergence of the smart phone, tablets and smart TVs, I find myself having to adapt to the ever changing-technology that has reshaped the PC Industry over the last three to four years. In an industry that has dropped to a 2 to 3% growth rate, it is no longer cost effective to stay at our current location. I have temporarily setting up shop at my home. I will be continually looking for a location that is convenient and cost effective to set up a more public shop. If anyone knows of an individual or business that has space, please let me know or have them contact me. Some people say the PC has died. I really don’t see the PC becoming obsolete, especially in the business industry. However, technology will always be changing and who knows what the future will hold. I have a lot of dedicated customers I provide for and hope to continue to assist for many years to come. We look forward to being of continued service to you and I hope you will enjoy the benefits of our new location. One advantage from being home is I will be easier to contact. As early as 8:00am and now during the evening hours. COM-TEK is now offering Scheduled On-site Services. We are now offering scheduled on-site services. Troubleshooting, repairs and technical support, networking issues, hardware installation, to PC setup and installation. Some issues involve in-store service like virus, spyware and malware removal due to the time it takes for removal. Give us a call and we will determine if your issue can be dealt with on-site or in-house. We also are offering on-site training and Tutoring services. From Windows Vista, Windows 7 and Windows 8 help, software (like MS Office Products) to computer basics, internet and e-mail, data backup and security, Antivirus, updates, and maintenance. Do you find yourself totally lost and frustrated with you new Windows 8 PC? We can help. You would be amazed at what just an hour of help can do to help you understand and start to enjoy your new Windows 8 PC. Due to our on-site services, and other part time commitments, we have changed our in-house office hours. Most on-site service is scheduled during the morning hours between 8:00am and 12:00am and some during evening hours. When no on-site service is scheduled, I can be in the Office as early as 9:00am. Some times we can experience emergencies that might take us out of the office during normal business hours, so we suggest to please try to always call ahead to avoid a trip down to the shop when we our not available. Please leave a message, I might be on the other line, helping another customer, or out of the office for an on-site job. I try to check messages hourly when out of the office so please leave a message and I will return your call ASAP. As an Authorized Dealer of Nordic Backup Secure On-line Storage, COM-TEK can now offer you or your company a dependable and reliable backup solution. Definitions of Virus, Spyware, Malware, etc. ???? Dial-up, DSL, Web Hosting Services and more.